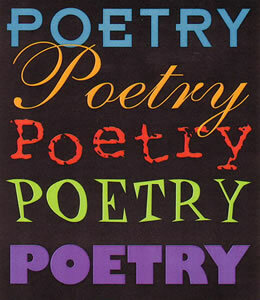 (May 21, 2007)--The UTSA Department of Modern Languages and Literatures will sponsor the 10th annual San Antonio Poetry Fair Oct. 13 in the Buena Vista Theater on the Downtown Campus. The deadline for people to submit poetry to the contest is June 16. The winning poems will be published in the Voices Along the River Anthology 2007. The contest is open to San Antonio and surrounding area residents with the exception of poetry in the adult/college category, which is open to anyone regardless of location. Cash prizes will be awarded to the winners in each category. Poems submitted must be original work; by entering the contest, poets agree to publication of their submissions in Voices Along the River. Winners are expected to read at the fair. The adult/college level entry fee is $5 for the first poem and $2 for each additional submission. There is no entry fee for students in grades K-12. For more information and contest guidelines, visit the San Antonio Poetry Fair Web site.